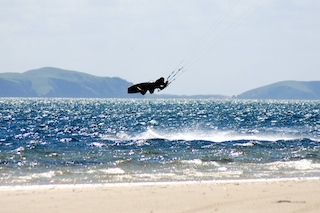 Give us a call on 021 2027 949 or email us at lessons@kitesurfnz.com. Our office is open seven days a week for bookings or if you just have some questions or need information on beginner kitesurf courses or IKO kitesurf instructor courses in New Zealand. Our kitesurf teaching location is on the Karikari Peninsula on between 90 Mile Beach and the Bay of Islands in the far north of New Zealand.